O Love of God, how rich, and pure! I had hoped to sing this hymn with the widows in Burundi, as I was told that they, like we in North America, love it. But we never had a chance. 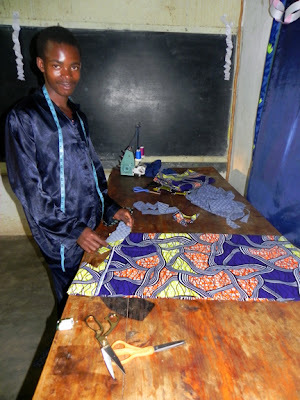 I'm putting it on my list of things to do if I ever get to go back to Burundi! The Love of God is older than you might think, at least its inspiration is. Although we know the song to have been written by Frederick Lehman in 1917, it is based on a poem written in the latter half of the eleventh century by a Jewish poet, Rabbi Mayer. The poem, called Hadamut, had 90 couplets, and several of the lines were found penciled on the wall of a patient in an insane asylum in the 1800s. Lehman heard about it from a camp meeting preacher and was so impressed with the story that he kept the words for several years until, in 1917, he wrote the first two verses and used the words from Hadamut for his third verse. His daughter, Claudia L. Mays, arranged the song for him. The lyrics speak of God's infinite love, love more than we could ever begin to imagine or express. Ephesians 2:4-6 says, But because of his great love for us, God, who is rich in mercy, made us alive with Christ even when we were dead in transgressions -- it is by grace that you have been saved. And God raised us up with Christ and seated us with him in the heavenly realms in Christ Jesus. That is unfathomable love. The song also reminds me of the last verse of John's gospel, John 21:25, which says Jesus did many other things as well. If every one of them were written down, I suppose that even the whole world would not have room for the books that would be written. Isn't it wonderful to know that we serve a God who loves us beyond our understanding and, in this life, we will never know the breadth of His life or the depth of His love. And the more we get to know Him, the more amazing we find Him to be. Aahhh, the love of God! 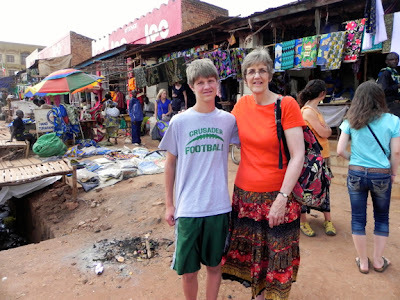 A number of people have asked when I'll be sharing about my trip to Burundi, so I thought I'd let you know. I'd be delighted to see you there! 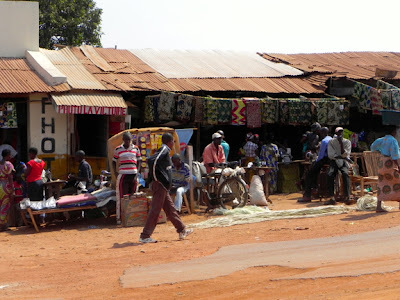 We'll sip Burundian tea and see photos of the people and scenery of Burundi. 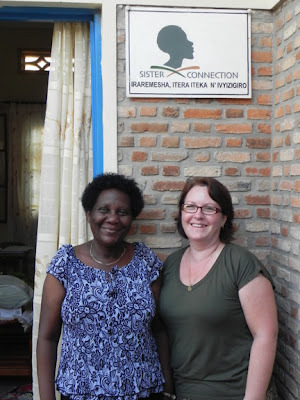 We'll talk about the widows sponsored by Sister Connection and the homes we got to visit. 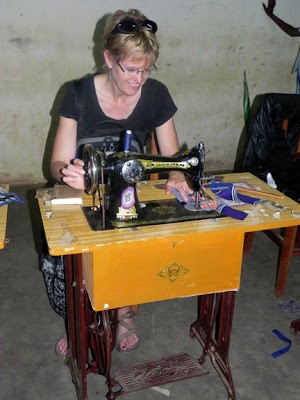 I'll share about the quilts that we distributed to the children and the retreat we attended. There will be opportunity for questions, and, if you'd like, you can purchase purses and aprons made by the widows. I do hope you'll join us! Prayer -- In a Bag or On a Shelf? I've been thinking a great deal about prayer recently. 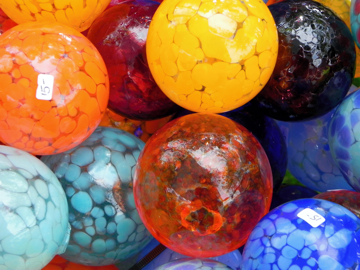 Perhaps it was last week's post about color that brought the following experience to the forefront of my mind. I seldom sense that I have been given a clear, specific message from the Lord. But something happened a few months ago that was very clearly the Lord speaking into my heart. It had to do with my struggle to feel I was praying adequately for the people in my life. It has had a significant impact on my life. Here it is, as recorded in my journal. 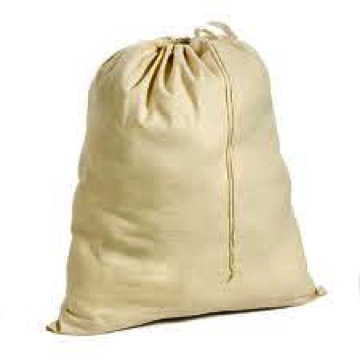 One day lately I realized that I haul around a large duffel bag like the one I keep rags in, off-white cotton with draw strings, where I put the people I want to pray for. When I hear about a need, I put it in the bag and draw the string tight. 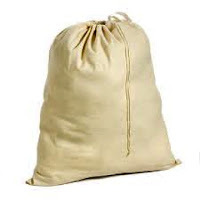 From time to time I dig inside the bag and pull out a person to pray for, but then I stuff him or her back into the bag, still hauling the bag and all its contents, and being in charge of the bag. It's overwhelming to me, knowing there are so many prayer needs and I'm not keeping up with them. Just yesterday God showed me a picture that goes beyond the prayer-in-a-bag image. 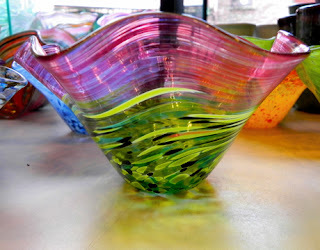 He suggested that, rather than keeping my people in a bag, where it is hard to keep track of them, I put them on a shelf in front of a bright, sunny window. There they will shine in the light of His love. He can prompt me to pray for them, and I will. No longer will they be in a bag I can't see into -- pulled out and returned -- but they'll be visible; God's love will surround them, and I'll see them as God does, as treasures and beautiful in His eyes, the object of His love, in whom He is doing a good work. It will be easier for me to pray for them in accordance with God's will, as it is no longer my responsibility to carry them around in a bag! What if life were in black and white? No color at all? I enjoy a good old black and white movie now and then, and sometimes friends post b&w photos that change my perspective on the scene and sometimes even change my own mood. A very nice effect -- once in a while. But, really, no color? Ever? Naahhh, I don't think so. 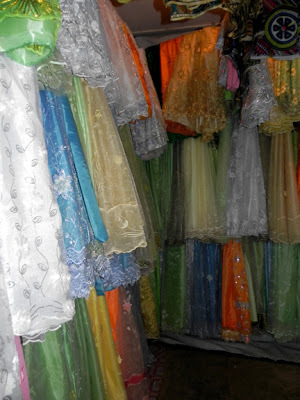 I love color, shades, nuances, bold colors, muted colors, colors on top of each other, beside each other, complementary colors, flung-across-the-canvas colors, spring flower colors, the dress my grandma used to wear that was so filled with color...you get the picture. So when NPR's program Radiolab did a whole hour on color last week, I was excited. We humans have three color cones -- red, yellow and blue. Did you know that dogs only have two (no red-sensitive cones) and butterflies have five cones. But the mantis shrimp has 16 cones and sees hundreds more colors than we do! Take a few minutes to listen to the show. If you've got an hour, you will enjoy the program, but if you can't afford an hour, start at 8:57 or so. The segment is about nine minutes long. The information is great, but the way it's presented is mind-blowing! Really! 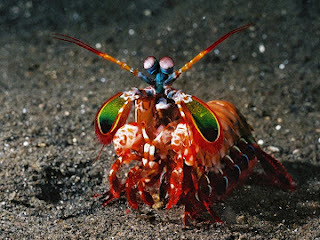 So would you like to see a mantis shrimp? Here it is. Their crazy cartoon-like eyes function independently of one another. I wonder why God gave this tiny sea creature such a profound sense of color. What in the world does the mantis shrimp do with access to such a broad range of color? Anyway, I think you'll enjoy the show. While you're at it, here's a "comprehensive list of colors" that I found on Wikipedia. After listening to the program, I wonder if the list is indeed all that comprehensive. God Doesn't Need My Help! It's coming at me from many directions these days -- from the scriptures, from what I'm reading and messages I've been hearing, from songs, from the wisdom of a loved one in the middle of a trauma -- this truth that the Lord is impressing upon my heart. Here it is: God does not need my help, He doesn't need my suggestions. He is absolutely sufficient for all our needs. In 2 Chronicles 20:12, when the children of Israel were attacked by a coalition of three nations, Jehoshaphat cried out to the Lord. He said, "For we have no power to face this vast army that is attacking us. We do not know what to do, but our eyes are upon you." 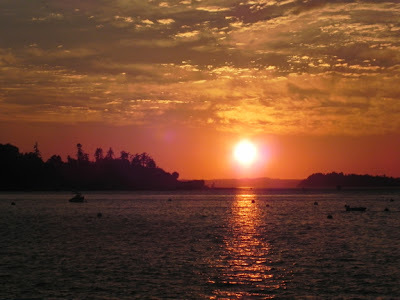 "Gracious God our Father, we come to you now realizing that there are many things we cannot control. In spite of our best efforts, things happen in this life that we can neither prevent nor plan for. Grant us peace in the face of such experiences. Grant us hope even when things get more difficult. Speak words of comfort to us in these dark places... We relinquish our desire for control. We surrender to your will, and we offer ourselves as humble servants whose mission is to trust you in all things." -- from Prayer of Relinquishment from Pastor Sam Schaar's message on Exodus 1:8-22, a part of his Fear Factor Series. "I believe the Lord is just waiting until we are completely empty, then He will step in." -- a godly woman in my life. 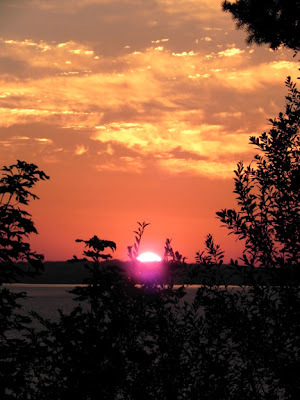 Last Friday, the day before my birthday, Tom and I had dinner at Chatter Box then drove over to Camano Island, just as the sun was setting. 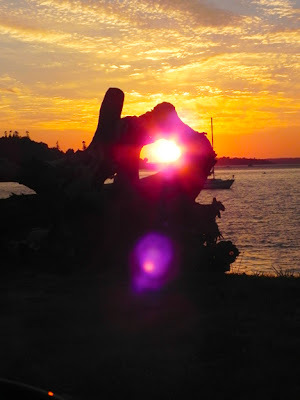 We got a few pictures at Utsalady, where we found the sun very low in the sky and doing beautiful things to the beach -- poking through a huge hole in a piece of driftwood and shimmering on the water. 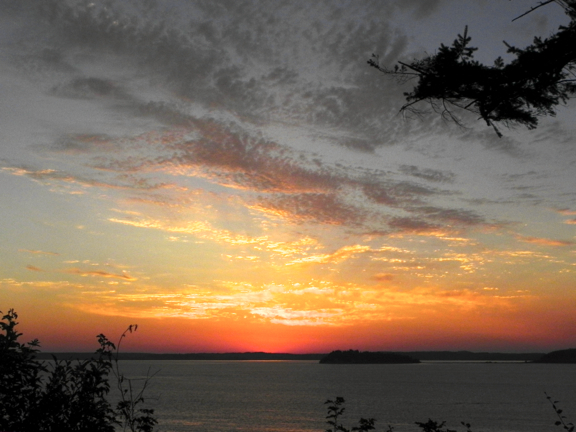 We watched the sun sink behind the Olympics from a lookout point. 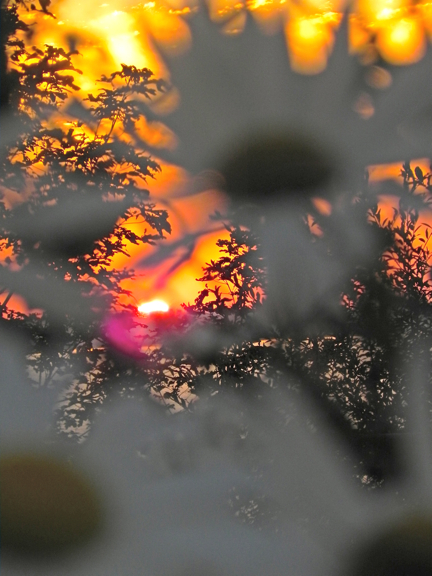 One photo was shot through the daisies that were growing up along the fence. The final photo is from the parking lot of Stanwood's QFC. It was a lovely evening to bid a year farewell. 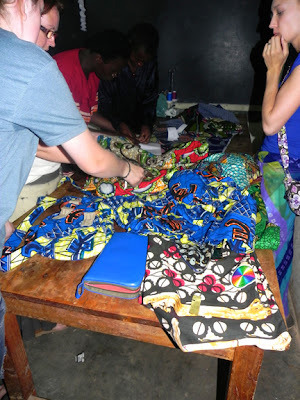 A mini-tour today of our trip in search of fabric while in Burundi. 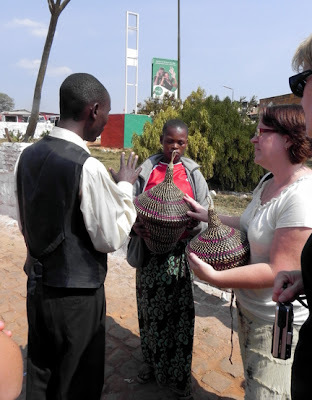 We had a chance to shop after we were finished with the retreats, just days before a group of us was to leave. Our bus parked in Gitega and we walked down the street that had fabric shops on either side. 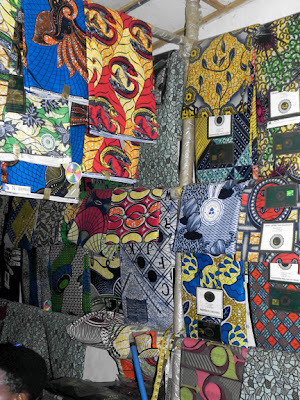 These shops were jam-packed with fabric, making it very hard to choose! The shopkeepers were all helpful and seemed quite happy to have so much potential business. And we did stock up on fabric! I purchased five pieces myself. Outside the shops sit the tailors who, for a very small fee, will sew your fabric into the garment of your choice. Again, too many decisions! How could I possibly know what style I wanted? A man using my favorite tool - an iron! 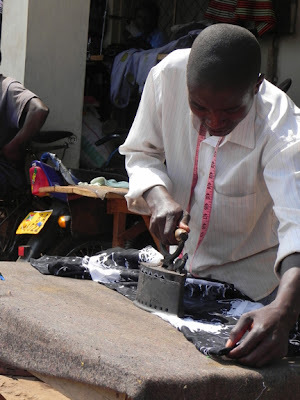 We left the fabric district and went back to where the Sister Connection tailors were waiting for any of us who'd like to be measured and place orders for clothing. Their facilities are simple, but their work is good. Look at the bright, colorful, unique dresses worn by these women at Widows Retreat, seen here singing and dancing. What could be more beautiful than this? 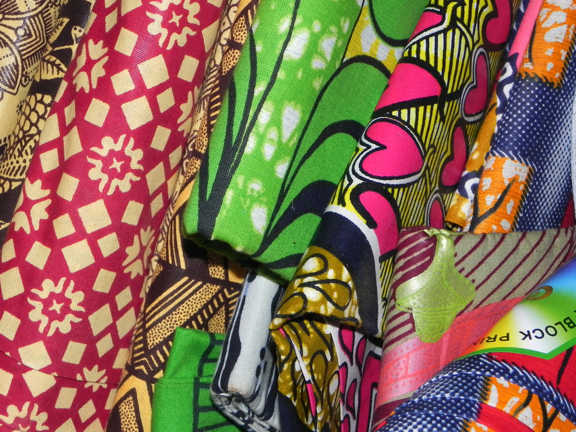 One day I'll show off my fabric and what I've had made from it. Don't expect anything too soon, though. 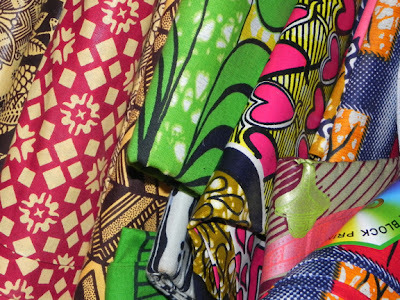 With only five pieces of fabric, I still can't decide what I'd like to make from it. I'm pretty picky about the graphics I use when I write a blog post. If we don't already have a photo in our collection that is suitable for a particular post, Tom or I may take one that illustrates the story or turn to Google to help me find something suitable. Sometimes the perfect photo pops up in just a matter of minutes; other times I search and search before I find a picture that is, at best, adequate. So when I wrote about my experiences on the city bus in the 50s and 60s, I scoured the internet in hopes of finding the perfect picture. 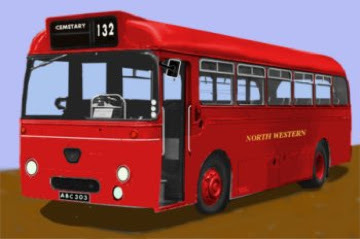 I looked at dozens of pictures before deciding on the painting of the great red bus from years ago, bus 132. The post was published before I realized where the bus was headed -- to the cemetery! Look closely, and you'll see it on the front of the bus in big white letters. Indeed, aren't we all on the bus for the cemetery? At present we are updating our will. We've got our pre-arrangements cared for and the family knows what to do when we're gone. I don't mean to sound maudlin, but if you are alive now, one day you will die. I didn't learn this from a Gallup poll or a library book. It's just reality. We live as if it weren't true, that we are immortal, but we aren't. Most of us pursue life with gusto. We love life. We pour ourselves into it and work hard to accumulate the goods and experiences that will fulfill us; we relish the relationships that bring us joy. We cram as much into life as we possibly can, not wanting to miss out on anything. We live like this life is all we've got. But that isn't so. There is eternity, and that lasts a long, long time. I was in a Sunday School classroom the other day and my friend Ginger, who, with her husband, teaches the 4th and 5th graders at church, pointed out a 1x2 inch paper taped to the place where the wall and the ceiling of the room meet. She said that it represents our lives, and she held her fingers two inches apart. "That's all the longer our life is, compared to all eternity," she said, as she moved her arm in a motion that circled the room two or three times. "We need to live with eternity in view." That's for sure. This little breath of time that we have is really just a shadow anyway. It is to prepare us for what's next. I realize our bus is headed to the cemetery, but, as a follower of Jesus, I know that when it arrives I will meet Him face to face and spend eternity with Him. I want to live my life with the joy and gusto that He offered when He said, "I have come that they may have life, and have it to the full" (John 10:10). And I want to keep my focus on eternity. After all, the cemetery isn't the end of the line. 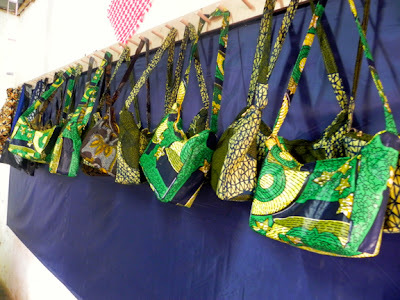 What do you do with an experience like my trip to Burundi, when your bag full of souvenirs and hundreds of photos just don't tell the story adequately? When you only got a slight glimmer yourself of life in Burundi during those two weeks and didn't really know what to make of it? When you saw God at work in your very midst but missed out on much of it because you didn't know the language or the culture? What do you do with all that? You process. You pray that the Lord will give you the understanding you need as you need it. You seek to keep a tender heart and an open mind so that you are can sort out your feelings and impressions, and so that you can grasp a bit of what is happening in the world (because, once you've immersed yourself in a place like Burundi, you are moved to tears when you hear a story from Haiti or see the joy on the faces of worshippers in Korea; you just can't help it). And you begin to seek ways to more authentically love and serve others. 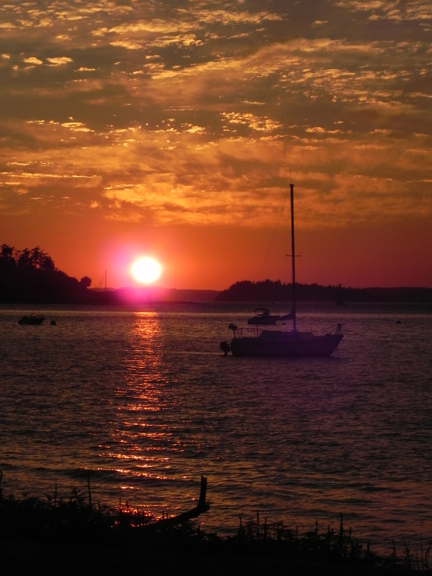 When you get a chance, you tell someone a story or insight that came out of the trip. You try to whet their appetite so that they will want to experience it for themselves or so they will at least want to hear more. You tell total strangers, "I just got back from Africa!" and they rejoice with you for a moment. But time passes, and now, after almost a month, I can't say I "just" got back from Africa. The memories will dim. The team members I shared this with have gone back to their lives of school or work or family and I don't know when I'll see them again. The widows have stepped back into their daily reality of feeding their families, raising their children, working their gardens. I love camp, but the truth is, when camp is over and you go back home, you've got to figure out what to do with your new experiences and insights, how to incorporate them into the life you have. Just maybe you have to give up some of that old life to make room for the new. That's what you have to do after a trip like this too. Even as I continue to process, to be changed by this adventure, I'll be sharing on this blog, at church, and in the community in the upcoming weeks. I didn't just go for myself, you know; I went for you too. When the dust settles you may find that you have some processing to do as a result of the trip I took! Maybe that's how this whole thing is supposed to work. Stoop down, and drink, and live!" I grew up on Mrs Cowman's devotional books, Streams in the Desert, volumes 1 and 2, and Springs in the Valley. Sometimes the wording throws me a bit for its old English -- she published them in 1925 and 1939 -- but the message is always uplifting and full of truth. A story that always blesses me is found in Streams in the Desert, Volume 2*, dated March 4. It talks about an American soldier who, along with five pals, was captured by the Japanese. His captors killed the others one by one and he knew he would be dying soon. He began to whistle the hymn "We Gather Together" and before long his captor was whistling along with him. They talked about their faith as they walked, and he learned that the Japanese soldier had studied English at the mission school to which he had contributed money during his Sunday school days. Eventually the soldier led him to several other Japanese Christians who asked him to take them as prisoners. They shared their faith with one another and prayed together. He marched them into camp, gun in hand. He was hailed a hero. But the passage ends with the words of the young American soldier, "So you see I don't deserve a medal for the most wonderful experience in my life." You can read about the life of Lettie Cowman here. (It's a short but very well written piece.) Her devotionals are still very popular and are available at Amazon and CBD or online here. *Streams in the Desert, Volume 2, was published in 1966, after her death, a compilation of many of the articles, clippings and writings she had collected but not published in her lifetime. You could call Stanwood a small town. According to the census our population is just 6,231. Most small towns like traditions -- you know, parades and car shows and soap box derbies and decorating the water tower for holidays. These things bring people together and Stanwood has them all. We have another tradition too. It's not planned by the city or a volunteer committee. But it affects the whole community. You might call it the Mourning Barn. It stands just outside of town on Marine Drive. It hasn't sheltered animals for years, yet the fields all around it are farmed and the nearby apple and plum trees, their trunks wrapped in mesh to keep critters away, bear lovely fruit. Some time in the last twenty or thirty years it became a place for high school seniors to paint their names and their graduation year. I'm told that the farmer didn't take kindly to this tradition at first, but as time passed the barn has become something of a community reader board, and the farmer now offers no resistance. Life is real in Stanwood, and not everyone makes it to graduation. Sometimes kids die. Just in the last few years we've lost teens to sickness, to accidents, and to violence. 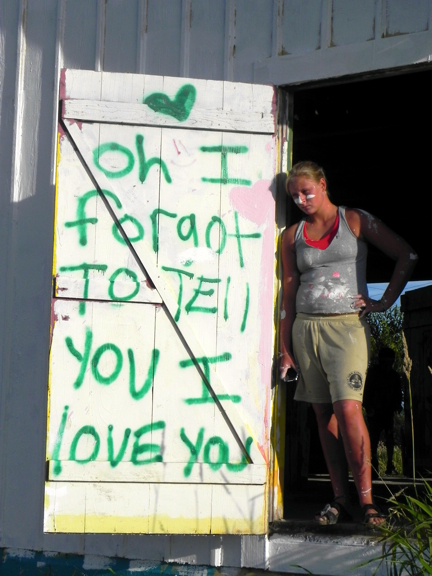 When that happens, their friends gather at the barn with paint and a plan. 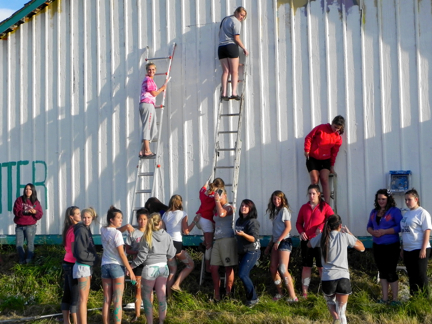 They prop up their ladders and turn the north wall of the barn into a memorial for their friend. It gives them a way to deal with their grief, to support one another, and to keep their friend's memory alive. 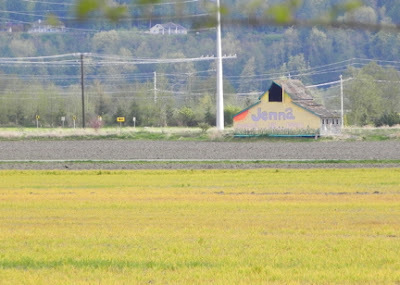 We've watched the barn go through many changes in our years living in Stanwood. I've cried to see the name of another young person whose life was just too short. Earlier this year a 7-year-old girl was accidentally shot by her younger brother. She was rushed to the hospital, but she did not survive. 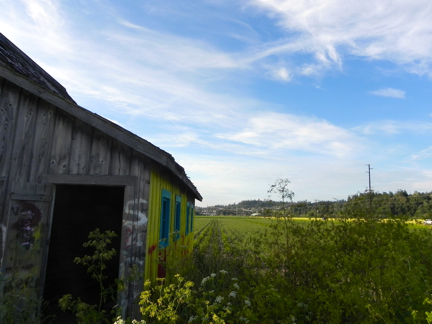 The barn became a huge yellow canvas with her name, Jenna, written across the wall in lavender. 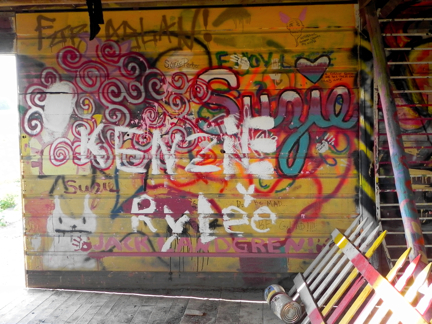 And now the barn has a new look. A young mom in Stanwood, Jen Bell-Burgess, was diagnosed with a rare and aggressive form of cancer. After a valiant 18-month struggle, she passed away on July 26. 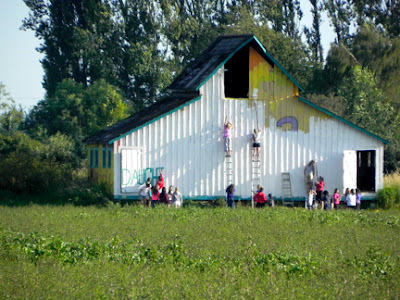 I drove by the barn last Wednesday afternoon, the day of Jen's service, and I saw a group of kids gathered to paint the barn. 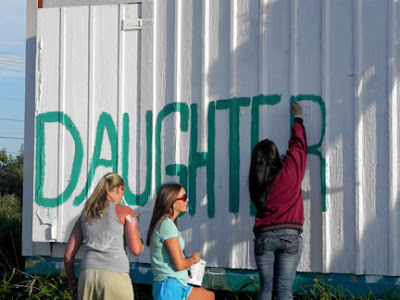 It was Jen's 15-year-old daughter, Hayley, and her friends, pouring themselves into a healing project. No longer just for teens, the Mourning Barn is now opening its doors to the entire community, reminding us of those among us that we have loved and lost. Who ever would have dreamed that a barn could offer such comfort? 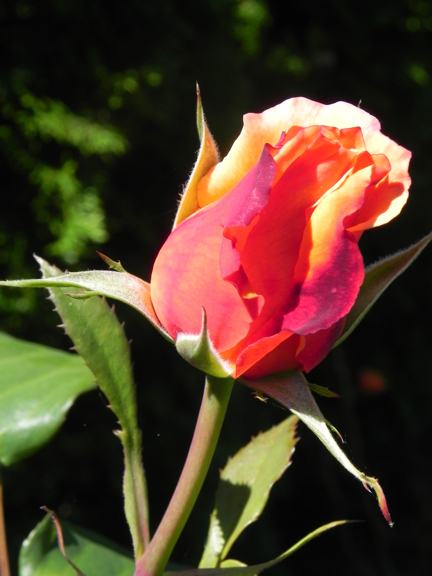 Life has a way of unfolding for us a bit differently than we had planned. Of course we always have the option to cling to our plans and make them work. But if we are willing to keep our hearts and minds open, it just might be that there are paths ahead that we would never have dreamed of. I love the way God sometimes surprises us, redirects us, uses us to bring good to others and glory to Himself. Like He did with Abigail Washburn; like He just may want to do with you and me. I got in my hour of gardening. We worked in the backyard and cleaned up the flower garden. It was 1972 when ethnic conflict erupted in Burundi, claiming the lives of hundreds of thousands of people. A school girl named Joy lost her father, all her brothers and all but one uncle in the genocide. The Vibbert family arrived in Burundi to serve as missionaries in 1976. 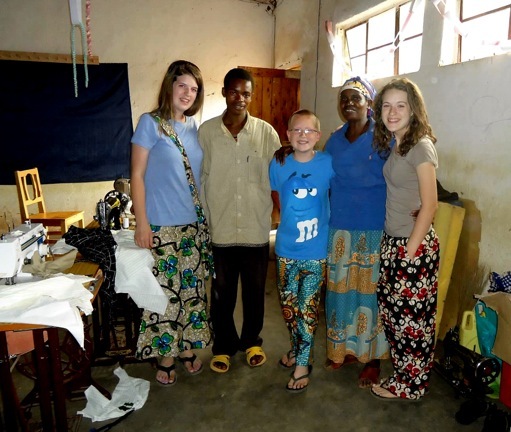 Their eight-year-old daughter, Denise, loved the Burundian people she met and made a huge place in her heart for them. She enjoyed the friendship that she experienced with them and felt completely at home in Burundi. 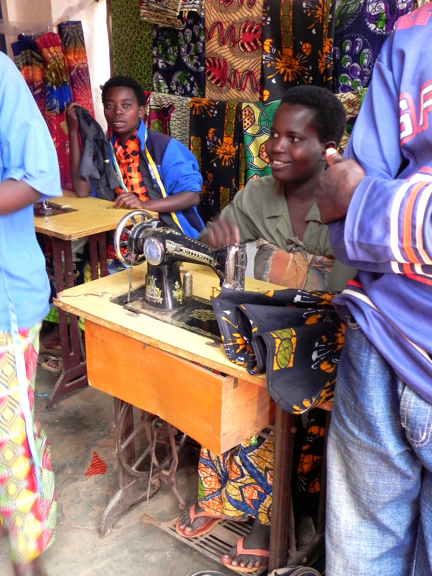 The five years she spent in Burundi were happy, rich years for her. Then came 1993 and the beginning of another ethnic war which lasted a decade and took the lives of hundreds of thousands more people. Let's let Denise pick up the story now. 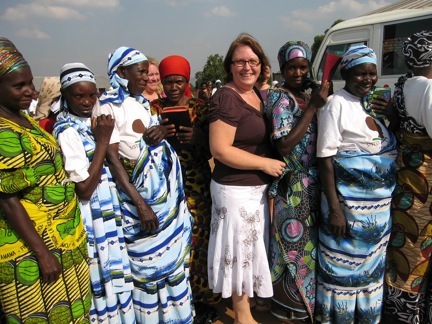 In the fall of 2004, I reluctantly accepted the role of Women's Ministries Director at our local church in Indianapolis. I didn't feel called to women's ministry, but felt that I should take this position for a year while the 'real' director was being sought. The first thing I did was to call the team together and discuss the existing activities for women. What did we like? What was effective? What needed to be subtracted or added? The ladies felt that the Secret Pal/Sister program had run its course and they were tired of buying token gifts for each other every month and secretly leaving them on the table in the foyer. They asked me if there was some way they could reach into the lives of women in another country and use that $25/month to really change lives. "Are you serious about this?" I asked. "Then I think there's something we could do," I replied. 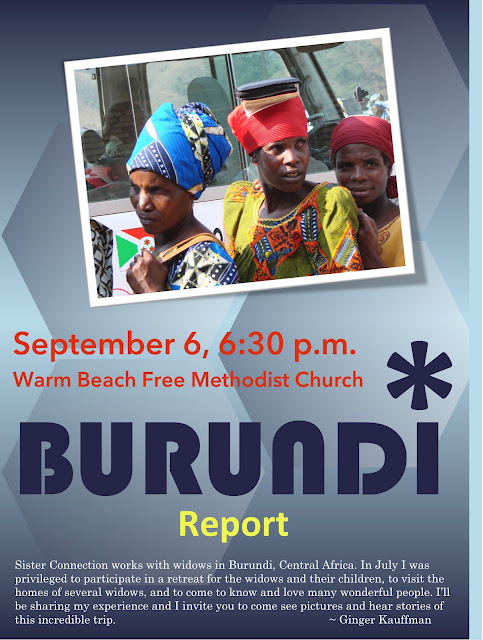 I had been asking God for years to let me be involved in the restoration of Burundi, specifically the widows. The war had finally started to subside in 2004, and therefore we could begin helping. When this request came, I started to wonder what God might be doing. I called my mom and she suggested I get in touch with Joy. 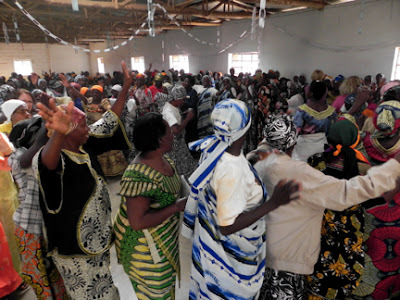 I emailed Joy to ask if she could facilitate connecting me with about 20 widows for the ladies of my church to begin helping every month. Just 20. Joy sent me back a letter telling me about a dream she had had two years previous. 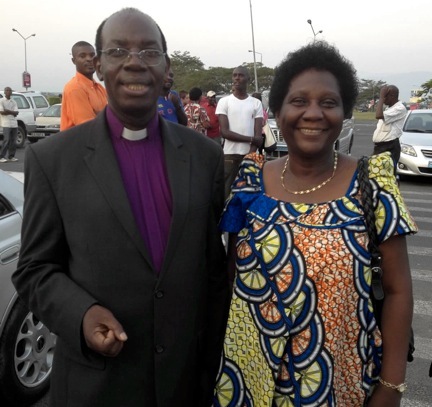 She was still living in Kenya, the war in Burundi was still going strong, and the Buconyoris had no intention of returning to Burundi at that time. But one night she dreamed that she was involved in a ministry in Burundi specifically aimed at women and children. There weren't a lot of details about the actual ministry in her dream, but it was a very successful ministry. She shared the dream with her husband and kids, and for two years they had been praying about this ministry, whatever it was, that it would come to fruition if it was a message from the Lord. She said to me, "I think this might be the ministry from my dream." And she sent me 39 profiles and photos of widows. 39. I was overwhelmed. 20 was pushing it, but 39? How could I ever find 'sisters' for all of them? As I read through the profiles and looked at photo after photo of widows that I had known since childhood, I cried from the depths of my soul. I knew the details of the attacks that killed their husbands, and I knew they had been suffering for a long time. I also knew that their husbands never imagined that there would be a day when their beloved wives would be photographed in all their brokenness and destitution, hoping beyond their ability to hope that someone would care. I cried and I cried. And I told God, if He would permit it, I would do whatever I could to make sure all 39 of those widows received a connection to a new sister. The rest, as they say, is history. I never set out to start an organization. I just wanted to help a few widows...and give a few of the ladies in my church the opportunity to reach beyond themselves. 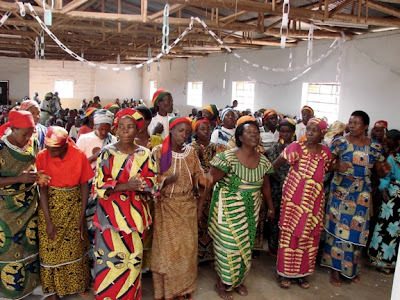 Today we have over 500 widows connected to sponsors, rising up out of the ashes of war to find healing, dignity and hope. Only God could do a thing like that! You know, I don't tell these Yes You Can stories to put people on pedestals. I tell them because, in each instance, the people I have showcased have been very common folks who have been willing to follow a dream or pursue a passion. And God blesses us when we are faithful to what He plants in us. 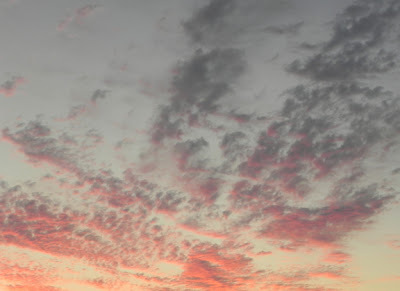 As Denise recently reminded me, God "doesn't call us to do great things for Him; He calls us to obedience so that He can do great things through us...for His glory." Sister Connection, born out of deep grief and untold tragedy, is a testament to God's care for widows and orphans, and it's a reminder that He uses willing hearts to accomplish His will. What is He putting in your heart to do? What would He like to accomplish through you. You may be saying (like Moses did), "No, I can't do this!" But I'd say, "By God's grace, yes you can!" Pick Up That Pen and Write! I don't know if you like to write or not -- I've heard that there are some folks who don't! -- but I find such satisfaction in putting words together that I'd like you to experience the fun of it too. As for me, I know there is also great satisfaction in gardening, though it is a satisfaction I regularly deprive myself of. Once I get going, I'm good with it; it's just getting out there and starting! So here's the deal. I'm going to set aside an hour this week to go work in the garden. I may do more than that, but for at least one hour in the next week I'll be pulling weeds, making my garden look better and my soul enriched. - Put down your thoughts about what's happening in your life right now. - Describe your very best hiding place when you were a kid. - Write about your first day of middle school. - Tell about what you like about your spouse, your kids, your siblings, whoever. - Write out the directions for creating a clay pot (or whatever you enjoy creating). - Choose a passage of scripture and write down your insights about it. I hope you'll take my challenge and find a time and space and a topic to write about. Even if you think you can't write, why don't you give it a try. Pick up that pen and write!